Topic: How to Use Wav Samples? Re: How to Use Wav Samples? You will need a file which will link samples to notes. I'd suggest searching for an sfz editor as this format is widely used. I haven't tried to create an sfz file myself though. Topic: Does anyone make music for supporting a cause? Re: Does anyone make music for supporting a cause? I make music for humanity because I want to maximize my contribution before I die. Topic: Music hosting sites: Let's talk about these, shall we? Re: Music hosting sites: Let's talk about these, shall we? Are there music hosting sites whose frontend and backend are free software? I've tried searching but found only self-hosting solutions. So on my site I use HTML5 audio element to display a web player in the page. So why not enable a BBCode to do so? Turns out, somebody did this already. Can we have it on this board? Ugh, as a Tor user, I'm against this change. I always have to enter reCAPTCHA in CloudFlare sites and recently it became worse. 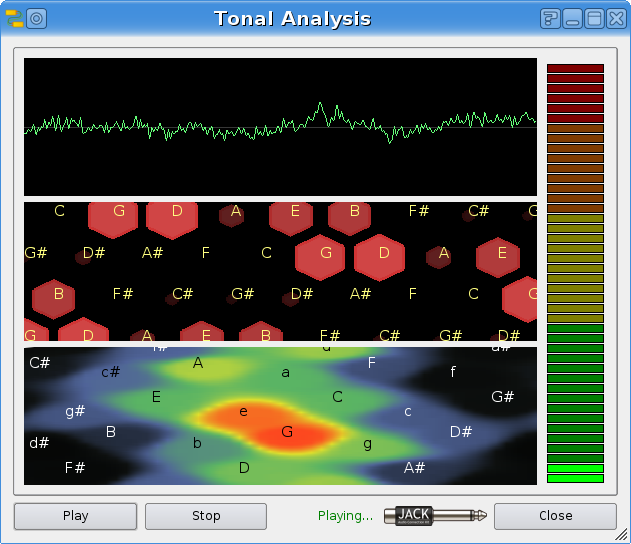 ssj71 wrote: CLAM has a tonal analysis thing that I've seen used for this sort of thing. I've never tried it myself. Does it have an application or is it just a library? So back in the days when I was using proprietary software, I used Celemony Melodyne with it's "Direct note access" feature which showed, roughly, what notes were playing. Is there something similar in a free software world?